Efficiently import, record, edit, mix, and export with MAGIX Entertainment ACID Music Studio 11, a computer-based multi-track recording and sequencing system for Windows 7, 8, or 10. Record vocals and instruments at up to 24-bit / 192 kHz resolution over the included 2500 ACID loops, extract audio from CDs, import music files, and arrange virtual instrument parts. Extensive audio effects, flexible MIDI functionality, a redesigned user interface, and a 64-bit engine empower you to create complex compositions in a multitude of genres. New audio effects include eFX Chorus Flanger, eFX Limiter, eFX Phaser, Vandal SE guitar/bass amp simulation, and am|track SE analog-style compressor and tape simulator. Eight virtual instruments for song creation are included, along with support for VST effects plug-ins and VSTi instruments. Program MIDI performances in piano-style and grid-style editors, time stretch and pitch shift loops, and even turn MIDI into audio. Balance track levels, add automation, and apply effects to achieve a polished mix, then export it in a variety of audio formats such as WAV, MP3, AIFF, and more. 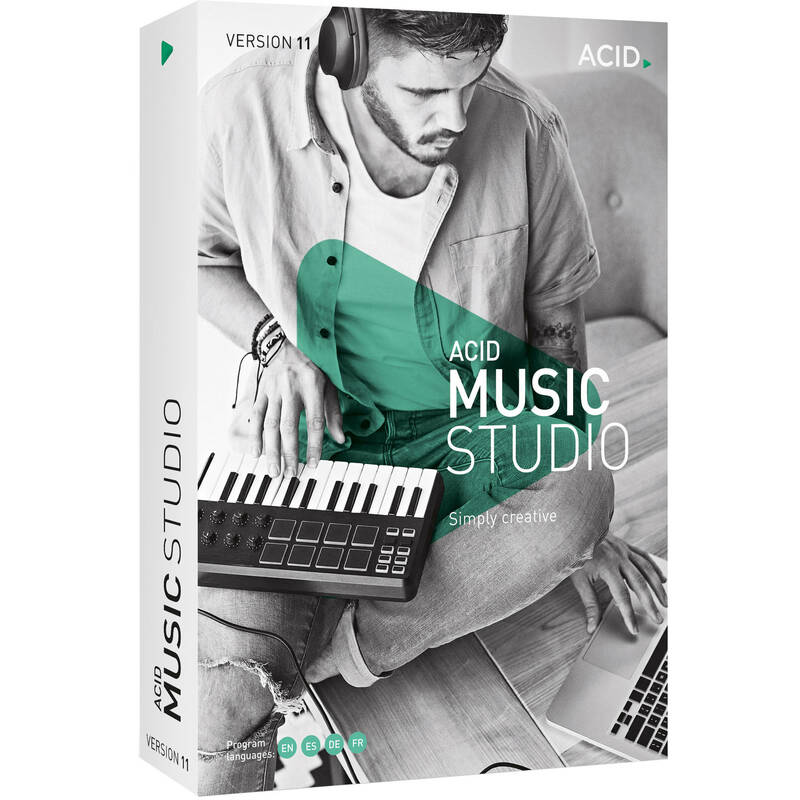 Note: This version is priced per license for 100 or more licenses of ACID Music Studio 11.